Open-concept living in this 3 Story Home! Laminate wood floors throughout main, great room w/gas fireplace. Kitchen complete w/quartz or granite slab counters. Landscaped front w/fence. 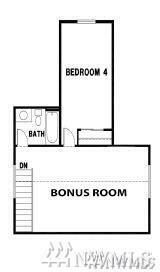 Generously sized bedrooms. 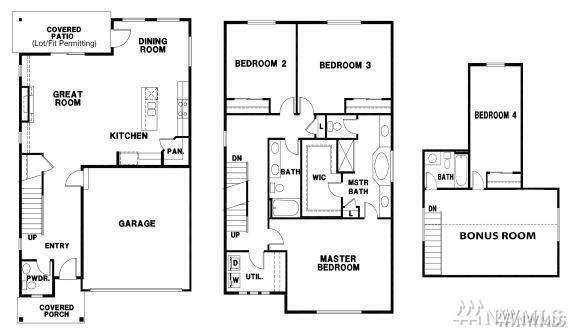 Master suite w/master bath & walk in closet. 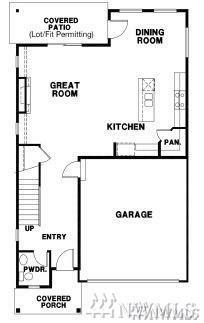 Convenient upstairs laundry/utility room. 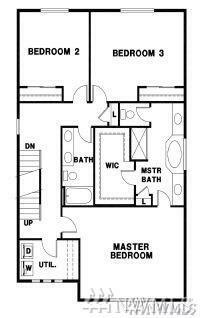 3rd floor includes 4th bed, a full bath & Bonus Room! 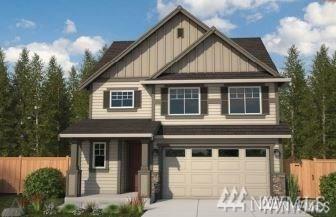 Community parks, close to schools, shopping, dining & JBLM! Images NOT of actual home. Estimated completion September, TBD-under construction.